In 1848 a railway construction worker named Phineas Gage suffered an accident that made him a major curiosity of medicine and a significant figure in psychology and neuroscience: an explosion caused a tamping iron to be blown completely through his head, destroying the left frontal lobe of his brain. Gage survived the accident and remained in reasonable physical health for another eleven years. But his behavior changed markedly after the injury, and his case is considered to be the first to reveal the relation between the brain and complex personality characteristics. Yet almost nothing is known about him, and most of what is written is seriously in error. In this book Malcolm Macmillan, a leading authority on Gage, covers all aspects of this fascinating story. He describes Gage's family and personal background, the context of his work and the accident, and Gage's subsequent history. He analyzes contemporary medical and newspaper reports of the accident and its consequences, and evaluates the treatment Gage received from Dr. John Martyn Harlow. He also looks at Harlow's own life and work. Macmillan examines Gage's place in the history of how functions came to be localized in the brain. 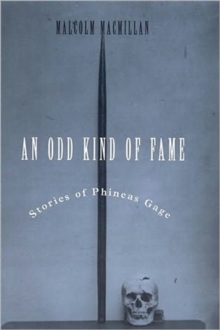 He explores the many ways that Gage's tale has been represented and misrepresented through the years in popular, fictional, and scientific works. One of Macmillan's primary aims is to rescue the case from the predominantly fantastic accounts so that its real contribution to modern neuroscience can be understood. Partly for this reason, the appendices include facsimiles of Harlow's 1848 and 1868 reports, the primary sources about Gage, and previously unpublished CT scans of Gage's skull made in 1982.